Photo Friday: The Methodist Cemetery | Tenleytown, D.C.
Posted on October 25, 2013 by Tenleytown, D.C.
Hidden behind the Cityline at Tenley condominiums and tucked behind what is now The City Church, lies the Methodist Cemetery. It sits on the old Murdock Mill Road, named for a prominent family who resided since the early 1700s in the vicinity of the area that became Tenleytown. The road connected the farmers of the community to the Murdock Mill, in operation until 1889, which could be found near the present-day Dalecarlia Parkway. 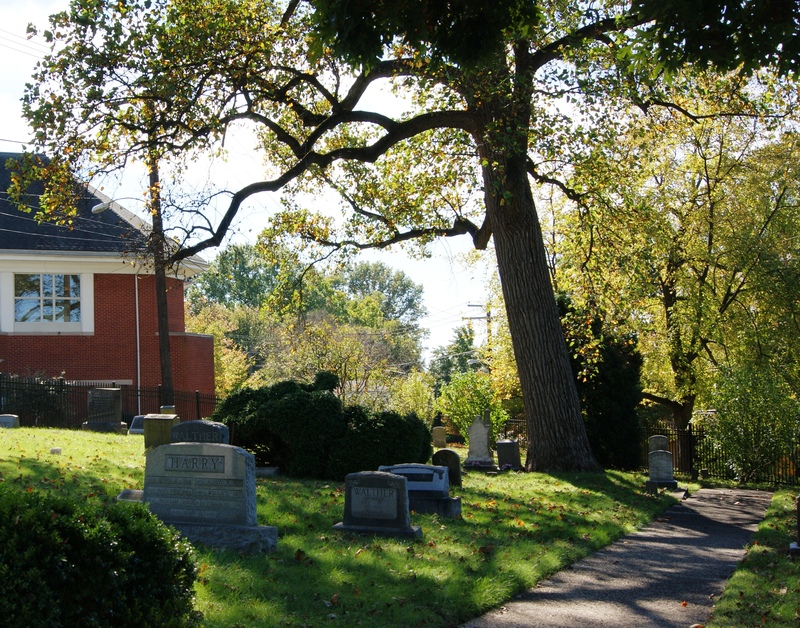 Officially founded in 1855 by twelve Tenleytown elders, the cemetery is the final resting place of many of Tenleytown’s founding citizens; a list of those interred there compiled by Frieda Klopfenstein can be found online. Although affiliated with the Mt. Zion Methodist Church and the subsequent Eldbrooke United Methodist Church, the Methodist Cemetery has always been maintained independently by the descendents of those buried there. 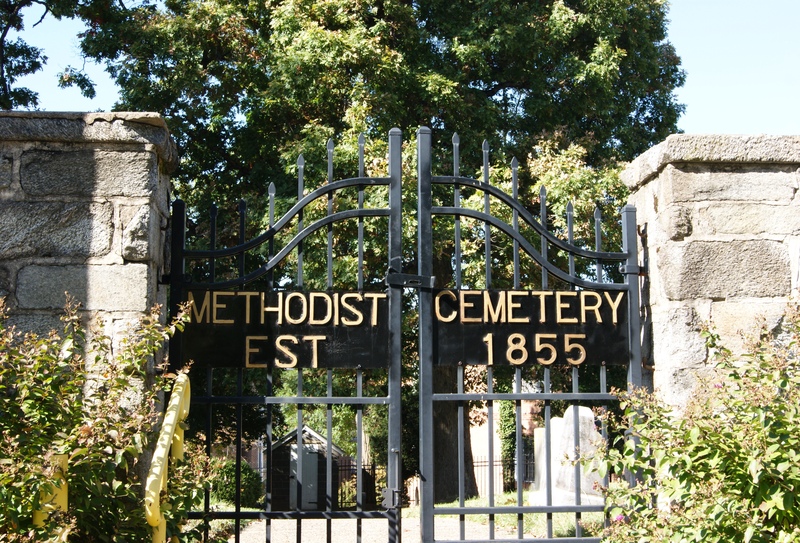 The Methodist Cemetery Association administers the cemetery and was instrumental in restoring the site in the early 2000s after it had fallen into a state of disrepair. The website for the association is current as of 2005, but little subsequent information is available. Minutes from a May 2012 meeting indicate an effort to renew the association. 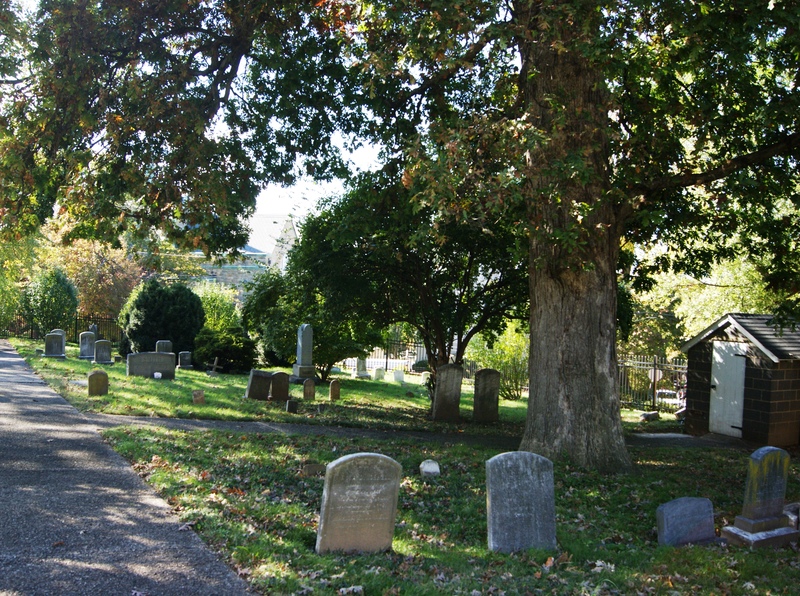 In September 2008, the Methodist Cemetery was added to the National Register of Historic Places. For more on the history of Tenleytown, visit the Tenleytown Historical Society or pick up a copy of Judith Beck Helm’s book Tenleytown, D.C.: Country Village into City Neighborhood at the Tenley-Friendship Neighborhood Library.